A company with highly qualified experienced personal specialising in Caesarea Medical Devices. 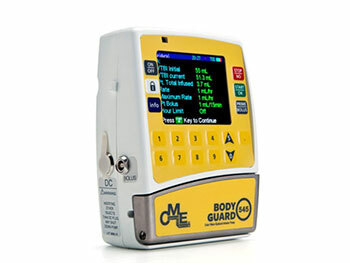 CME Biomedical Services provide annual calibration service (to AS3551) and repairs for Caesarea Medical Infusion Equipment including Syringe drivers and Bodyguard pumps. Client-focused and technology driven company, committed to supporting the industry. Data and tracking management system covering all service and calibration data, logistics and administration information. Highly qualified and manufacturer trained experienced personnel. Cost effectiveness and rapid turnaround of equipment in 24 to 48 hours. Twelve months warranty on repairs (parts and labour relating to the original fault). Overnight return delivery where possible. Fostering a culture of continuous innovation and improvement. A culture of integrity, dependability, consistency and ethical behaviour. Repair and service of Caesarea Medical Electronics Infusion Pumps. 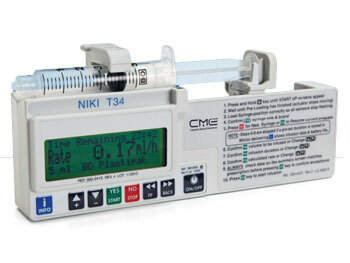 Models include Syringe Drivers (Niki T34, T34L), Regional, PCA and Epidural BodyGuard Pumps (323, 545, 575, 595). With the increasing demands on Biomed Departments in hospitals to provide quality compliant equipment at an effective cost with fast turnaround, more hospitals are seeking CME Biomedical services. Our company has become a trusted partner in many hospitals throughout Australia. Our fast reliable service to this industry has been welcomed Australia wide. Often an aged care facility has limited palliative care equipment so it is crucial to provide 24 hour turnaround with airfreight return delivery. Our ability to work together as a partner with this industry and its demands is reflective of our continuing relationship in this sector. We provide technical support and service to many organisations who value our support and expertise. 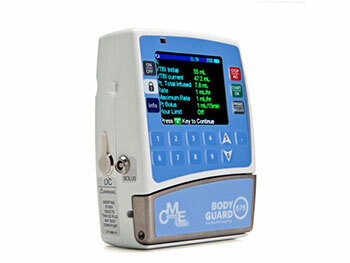 Repairs and Preventative Maintenance on CME Medical Electronics infusion equipment. Exceptional service and support is provided through our thorough understanding of the clinical and engineering aspects of equipment. All work is performed to manufacturer’s specifications and AS/NZS3551. Our technical personal are manufacturer trained and certified. Typically turnaround times are 24-48 hours. A comprehensive range of spare parts is maintained. Quotes are provided for all repairs to customers for approval. Our work carries a twelve month warranty on labour and parts for the same fault.